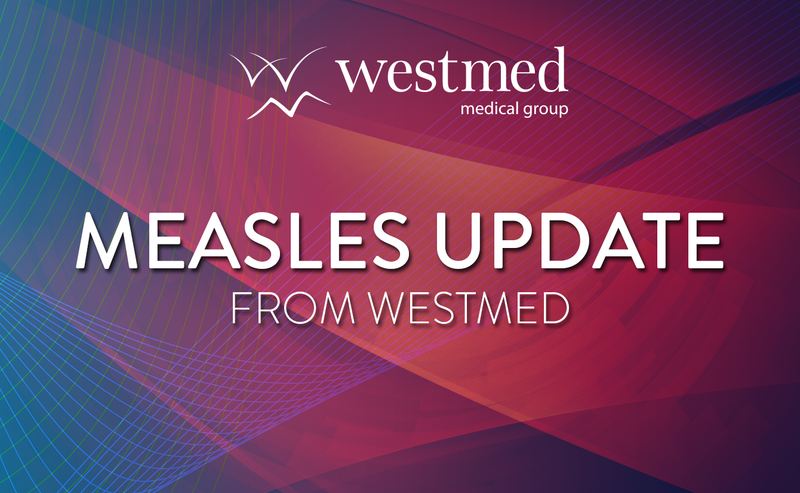 As of today, Friday April 12th, there have been no changes to the CDC standard guidelines for MMR/measles vaccination in children or adults. Parents of Pediatric Patients: If your child is up to date on the MMR vaccine, and you do not have plans to travel internationally or live in close proximity to an affected community, additional vaccination or boost is NOT required at this time. Vaccinated children, over age 12 months, whose vaccines are up to date, do NOT need a vaccine. Children aged 6-12 months, outside of the affected community, do not need to be vaccinated unless they are travelling internationally to a high risk country. Children aged 6-12 months who are living in or visiting an affected community, should get a vaccination. Children aged 12 months and older, who are not already vaccinated, should get an MMR vaccination. The MMR vaccine protects against three diseases: measles, mumps and rubella. For Unvaccinated Adults, Westmed Medical Group follows the standard CDC Vaccination Guidelines, and recommends that all adult patients should receive at least one dose of the MMR vaccine, unless you are pregnant, or have any of the other concerns found on the CDC vaccination information site, here. There are free Westchester Measles Vaccine Clinics scheduled for this afternoon and tomorrow, available for all adult Westchester County Residents and children over the age of 12 months. Click here for more information. Follow up with your healthcare provider, or send your provider a question on the My Westmed portal, if you are unsure about whether your child’s vaccines are up to date. Should these recommendations change, Westmed Medical Group will provide an updated alert.